While most people are aware of Alzheimer’s and the prospect that their aging loved ones could be affected, there’s a lot of misinformation around the disease. World Alzheimer’s Month, an international campaign that happens every September, is meant to challenge the misinformation and stigma that surrounds Alzheimer’s and dementia by raising awareness. Even if you have no personal connection to Alzheimer’s at this time, the prevalence of the disease shows how easily that could change. According to the Alzheimer’s Association, an estimated 5.7 million Americans are living with Alzheimer’s in 2018. (To put that into perspective, that’s 10 percent of the 65 and older population.) And that number isn’t getting any smaller. By mid-century, the number of those affected is supposed to rise to nearly 14 million. Do personal research. You can always find books on the subject of Alzheimer’s, but sources online tend to have more updated information. Check out the Alzheimer’s Association and the National Institute on Aging. Talk to someone who’s been affected by Alzheimer’s. While information online can help you understand the disease, it doesn’t give you a personal look at how it truly impacts those who have it and their loved ones. Hear from someone who knows what it’s really like living with the disease. It will give you insight that you won’t be able to find in a book or video. Another way to raise awareness of Alzheimer’s is taking part in the Walk to End Alzheimer’s in your community. The walk is the world’s largest event to raise awareness and funds for Alzheimer’s care, support and research. It’s a great way to show support and make a difference. If you’re in Arizona and are interested in getting involved, there’s a Walk to End Alzheimer’s in Phoenix on November 3 and another in Sun City West on October 13. Find other walks in Arizona and across the U.S. here. If you don’t want to sign up for a fundraiser walk, consider getting involved by volunteering. 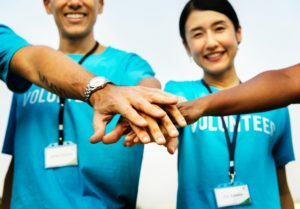 The organization needs help with team recruitment, sponsorship, marketing, and logistics before the walk, as well as walk day volunteers to offer assistance and support the day of the event. Separate from the Walk to End Alzheimer’s, there are plenty of other ways to volunteer. You can help with advocacy efforts, take part in other special events, participate in public education programs and more. Find out how you can lend a hand here. One of the easiest way to get involved in World Alzheimer’s Month is to donate. Donations go directly to research, online education programs, and support/caregiver initiatives to help improve the lives of those with Alzheimer’s. You can donate by phone, online, or by mail. Find out more on the Alzheimer’s Associate website. If you do have a loved one with Alzheimer’s, you know how devastating the effects can be and the struggles that can come with caring for someone with the disease. While raising awareness of Alzheimer’s is a major concern, it’s just as important to consider the living environment of those with the disease. When symptoms of cognitive impairment impact the ability to perform daily living tasks independently, it may be time to consider assisted living care. If you’d like to learn more about Paradise Living Centers and the services we provide for those with dementia, visit our website or call (480) 878-4112.